If you've always dreamed of taking a trip to Missouri, then it's time to make plans and create unforgettable memories with your loved ones. With a luxury or budget Byerly camper rental, you can truly enjoy all of the Show Me State. Search for a conversion van or RV rentals in St. Louis when you're looking to have plenty of freedom on the open road. The state has a lot to offer for travelers who want to view some scenic beauty and visit the top attractions. 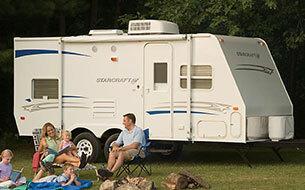 There are many factors that determine Byerly RV rental rates. For example, cost may fluctuate based on the time of year that you plan to travel and the number of people in your party. The type of RV that you rent should be determined by the size of your family or the group that you're traveling with on the road. As an RV dealer based in the St. Louis/Eureka area, Byerly has a range of options for every budget. Naturally, the cost will go up for luxury Class A campers with more square footage. 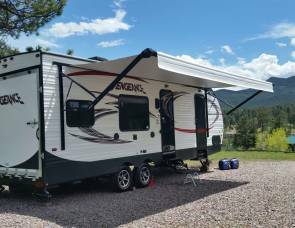 RV rental prices also depend on the availability of the vehicles that are offered and the number of miles that you plan to travel. When you're ready to pick up a Byerly RV rental in Eureka, MO, you'll need to provide the company with proof of ID, a deposit, and your driver's license. It's also important to find out if the RV can be dropped off at another location or returned to the same establishment. You can save more money with an RV rental by avoiding the high cost of hotels or expensive restaurants while traveling. By packing your own food and sleeping in the vehicle overnight, you'll have more flexibility and be able to save hundreds of dollars on the trip. You also won't need to plan your itinerary around restaurants or hotels along the way. 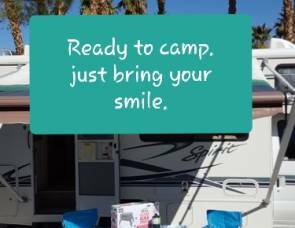 Many people take advantage of the low Byerly RV rental rates for smaller Class B and C campers. Some of the lowest prices are on conversion vans. These vehicles are ideal for smaller parties that don't need extra living space. If you don't want to worry about how much fuel you're burning, you can take advantage of the packages for unlimited miles. You can also get a discount or cheap RV rentals in Missouri if the vehicle needs to be dropped off at another location in the state. Those who want to relax and unwind while traveling in a luxury RV can take advantage of high-end models that are available with Class A RVs. 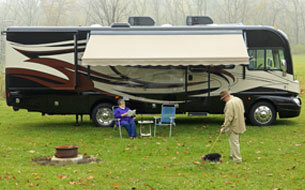 Class A RVs are known for featuring more bells and whistles. From granite countertops to leather seats, there is more to enjoy with these classy Byerly RV rentals in St Louis. Class C RVs, which are smaller, also offer plenty of comfort and can make your trip just as enjoyable. 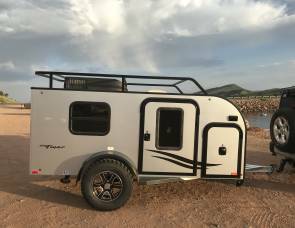 Many of these RVs include larger windshields, exterior high-definition televisions, drop-down bunks, and LED accent lights. You can ride in style when you get one of these amazing campers. When you want to take an upcoming trip to Missouri in an RV, you can consider renting a vehicle directly from the owner. 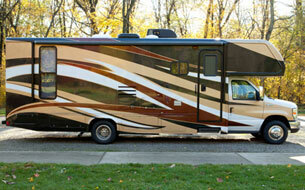 By conducting an online search, images and details of the RV listing can be viewed. 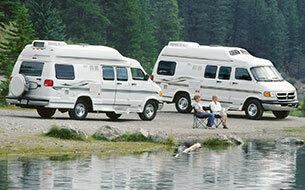 You can specify the features, price, and type of RV when conducting the search. 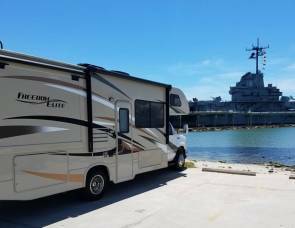 With an RV rental, you'll have the flexibility to tour the Old Courthouse or visit the Missouri Civil War Museum without sticking to a strict itinerary. You won't need to work your schedule around a hotel that's booked or busy restaurants because you can sleep, eat, and dine in the RV while on the go. You'll also save time stopping on your route when you need to eat or use the restroom. The forested Ozark Mountains are a popular destination in Missouri. The grassy plains make it a spectacular setting to explore when you're interested in going fishing on the Lake of the Ozarks or sampling wine at one of the many regional wineries. The state is also home to Elephant Rocks State Park, which is a 129-acre preserve that's home to large humps of granite. Visitors are welcome to hike along the trails and take photos of the natural scenery. When you want to spend time in a tranquil setting and escape the hustle and bustle of the city, the Missouri Botanical Garden also offers over 75 acres of Japanese strolling gardens. When you're ready to upgrade from renting to owning, you can visit the Byerly RV dealership in Eureka. You'll find a range of options, including everything from smaller Class B models to larger luxury RVs. Ownership is often wise for those who are looking to live full time in their campers. Before you stop by the dealership, it's important to conduct some research. You'll want to consider how many people will be staying in the RV and how many miles you'll be traveling every year.